When you use the Website, you may provide us with personal information about you, such as your name, e-mail address, postal address, and telephone number (collectively, the “Information”). We do not collect any Information from you when you visit the Website unless you provide us with the Information voluntarily (for example, by registering to become a “Registered Member” or joining our e-mail list). We may automatically collect other types of information when you visit the Website such as the IP address of your computer and what sections of the Website you visit. Also, the Website may use “cookie” technology to help us collect non-personally identifiable information and to enhance your experience using the Website. Cookies are small packets of data that a web site stores on your computer’s hard drive so that your computer will “remember” information about your visit. If you do not want the Website to place a cookie on your hard drive, you may be able to turn that feature off on your computer. Please consult your Internet browser’s documentation for information on how to do this. However, if you decide not to accept cookies from our Website, the Website may not function properly. Registered Members may access, review, and make changes to their Information by following the instructions found on the Website. If you want to update your preferences regarding what mailings and other information you want to receive from us, you may do so by sending us an e-mail at [email protected] You should be aware, however, that it is not always possible to completely remove or modify information in our databases. 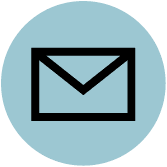 If you provide us with Information through the Website, we may use the Information to send you e-mail newsletters, as well as to inform you about other products and services that may be available through The Plunge or our third-party marketing partners. Also, we may share Information with others as described below. To the extent permitted by law, we may also disclose Information when required by law, court order, or other government or law enforcement authority or regulatory agency, or whenever we believe that disclosing the Information is necessary or advisable, for example, to protect the rights, property, or safety of The Plunge or others. This may include, for example, sharing information with other companies and organizations for fraud protection and credit risk reduction.